A loving homage to Zelda, an Infinity Blade prequel and more round out this list of must haves. One of the best things about iPhone and iPad games is the simple fact that announced titles often debut a few months later, which is in stark contrast to the console business, which takes significantly longer; case in point, Aliens: Colonial Marines, which first appeared in 2008. That said, we've kept an eye on several highly anticipated iOS projects, some of which should debut sooner than later. On that note, check out our most wanted iPhone and iPad games. Revealed this past March, Dungeons is a standalone entry in the critically acclaimed Infinity Blade franchise. While details are scarce, we know this: the game is currently in development at Epic Games (instead of series creator, Chair Entertainment), and it appears to follow a more Diablo-style of play, as gamers charge through dungeons killing monsters and grabbing loot. Should give us something to do until Infinity Blade 3 arrives. Announced just yesterday, Republique represents an ambitious collaboration between Ryan Payton's Camouflaj development studio and production company, Logan. Featuring some of the best visuals we've seen on "i" devices, the game centers on a female protagonist seeking to escape an Orwellian 1984 society, but instead of controlling her directly, players view the action via camera, issuing instructions to hide and flee while hacking into various electronics. We haven't seen anything like this on the App Store, and can't wait to get our hands on it, providing Camouflaj meets its Kickstarter goal. Of all the Kickstarter gaming stories we've read about, Shadowrun Returns is by far the coolest. Last week, franchise creator Jordan Weisman launched a campaign to raise $400,000 to create this intriguing follow-up for iPad, Android tablets and PC. Since then, the community has poured in more than $800,000 to help bring this futuristic cyberpunk RPG to life, and with that kind of cash, we expect great things from Weisman and the crew at Harebrained Schemes, a potentially epic strategy gem featuring dragons, trolls, Matrix style characters and insane amounts of depth. Too bad we'll have to wait several months for it to appear. Little is known about this beautiful action RPG, aside from it bearing a striking resemblance to Nintendo's The Legend of Zelda games, specifically 2003's GameCube classic, The Wind Waker; you can even explore the world by boat. Beyond that, the game revolves around a hero setting off to rescue his sister while slaying a sea monster. Could be epic. 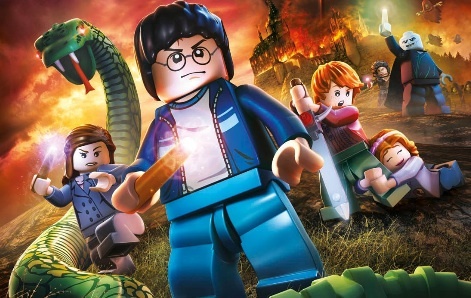 Although we've yet to see any footage of Warner Bros. and TT Games' newest LEGO title, it's safe to assume it'll be just as good, if not better than the stellar LEGO Harry Potter: Years 1-4. Players will experience Harry's remaining years at Hogwarts, exploring locations from the books/movies, interacting with different characters, uncovering secrets and squaring off against his nemesis, the diabolical Voldemort. 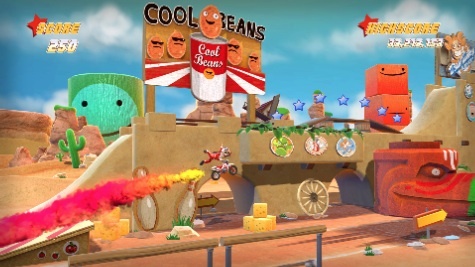 We missed this game on consoles, and look forward to taking it on the go. For some reason that escapes us, we never played the original Joe Danger on PlayStation 3. Thankfully, we'll receive a second chance later this year, as the death-defying stuntman makes his way to iOS with controls that take full advantage of the touch screen. Should make zipping around loops and flying off ramps second nature. 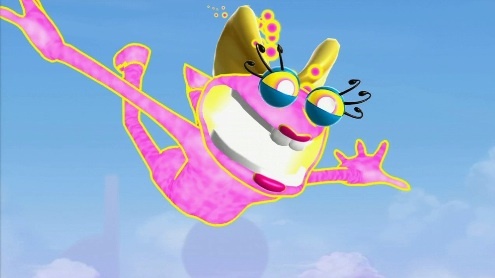 Just like Joe Danger, Ms. Splosion Man somehow sneaked under the Modojo radar, probably because we were too busy with mobile games to pay attention to Xbox 360. Twisted Pixel shouldn't take this personally, since we plan to pour several hours into this well-received follow-up, where Splosion Man's main squeeze uses her explosive abilities to solve puzzles and thwart scientists' evil schemes.